The second generation of the amPlug has been significatnly improved, especially the signal quality. Every model offers 3 different amplifier simulations and the rotating mechanism of the plug was reinforced. The amPlug Bass also possesses, next to the “Bassilator” circuit for more power and low end, a brand new rhythm section. This is equipped with various new patterns and is perfectly suited for practicing on-the-go. 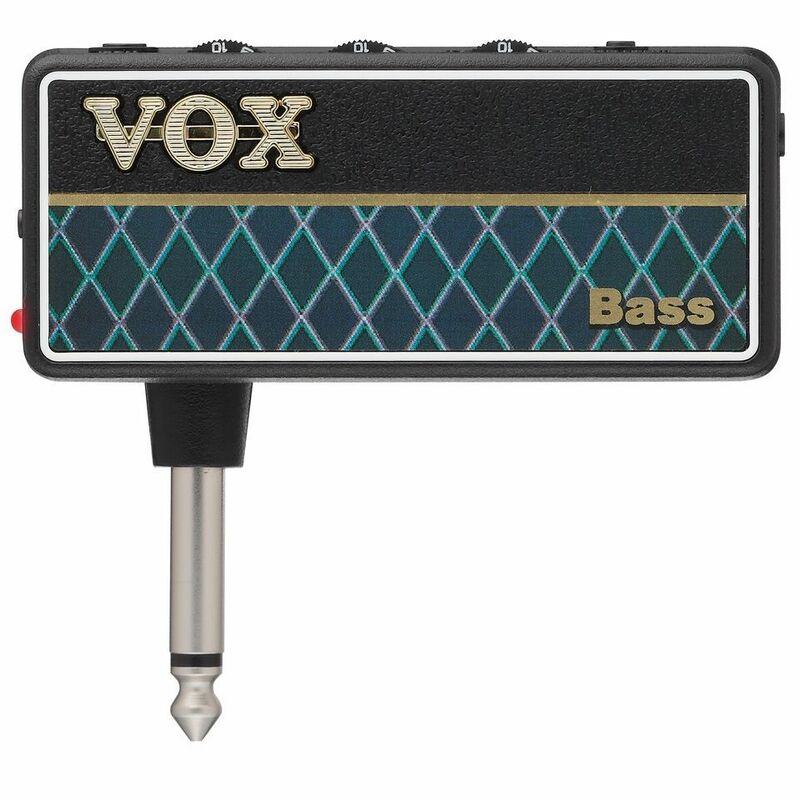 Additionally, the input level can be adjusted for any electric bass via a switch. Due to the new, automatic power-off function of the amPlug 2 shuts itself down automatically after 30 minutes without receiving a signal. This extends the battery life of one charge up to 17 hours. Naturally, the second version is also equipped with an Aux input. Its made in Japan but the quality doesnt feel so good in hands. Aux in amplifies just a bit the connected audio source. Hence this tool works good with high output electric basses, and it shows a very clean sound overall. Each and every drum machine loop can be adjusted in time signature (but just by ear) and sound volume. It does what it says, the quality is not top as it is made from plastic and can easily break if you are not carefull, but it is very usefull and best for travelling. Awsome sound and great performance. My only complaint is that the on/off button is rather small and you tend to miss it if you are not looking at it. It really pays off no doubt! Works fine for clean guitar sound as well, I preferred the rhythms over the effects, there're only 6 variations but it's enough for practicing. Craftsmanship is good although for me an unattended torque made the jack support to get lose, I glued it back and works fine, my fault though.